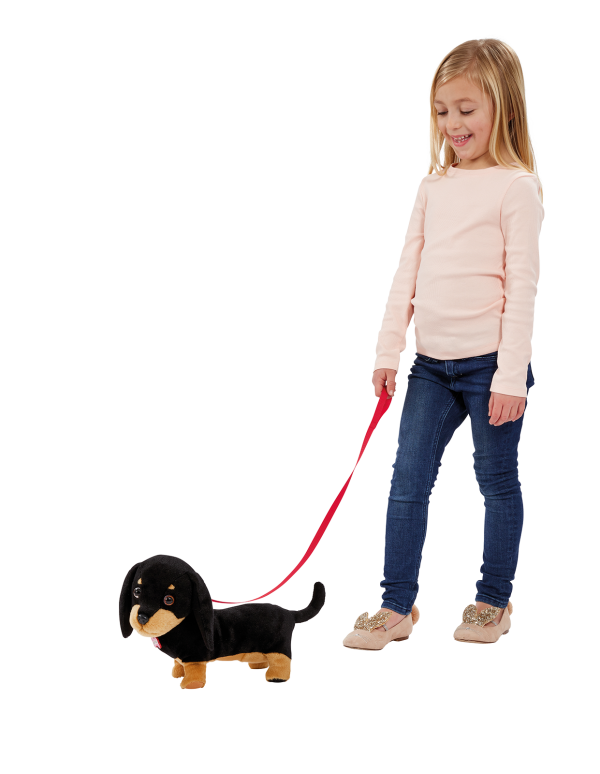 Waggles is your very own wiggling, waggling, walking sausage dog! He walks just like a real sausage dog, wiggling his bum and waggling his tail as he trots along happily. Waggles loves to go for walks with his new owner and with his cheeky smile and cute puppy barks he's your new best friend! 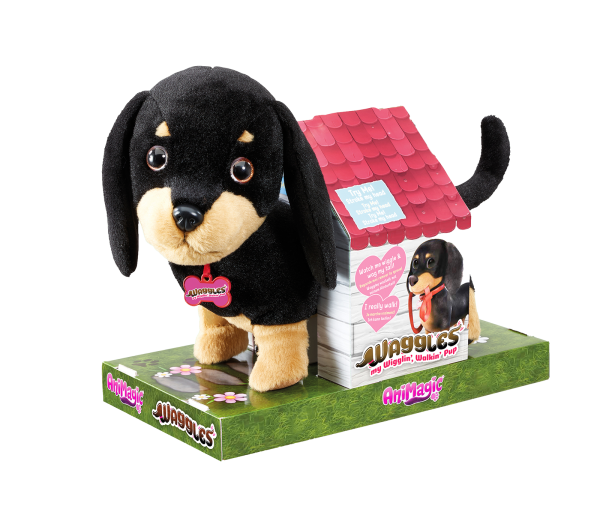 An adorable sausage dog, Waggles loves to wiggle and waggle as he goes on walks. He also makes cute puppy barks to talk to you.